Six models are available for precise liquid dispensing from 0.2µL to 1000µL. A number of pipettes are available on the market. You should choose one that's easy to operate and provides safe and secure pipetting. These guidelines will help you select a suitable pipette. The pipette should be lightweight. Choose one that is cushioned or contoured to your hand. Choose a pipette that uses your fingers instead of thumb to operate a trigger. You should pick a plunger with low spring pressure and short length of travel. Choose a pipette of proper size. Wrap your hand around the pipette; if it covers less than half of the pipette, the pipette is too big. But if your hand wraps around the whole pipette, it is too small. The tip ejector should require minimal force. Thin-walled tips are easy for ejection. If possible, use pipette-specific tips. Click here to read more about choosing the proper pipette. This dedicated analyzer offers exceptional accuracy across a broad wavelength range of 400 to 2,500 nm and is designed for use in the receiving area or at-line in the nutraceutical industry. Read more about the newest addition to the global Metrohm family at the Metrohm website. Can Freedom Evo 75 be used for RNA or DNA library prep? Does Evo 75 has compatible protocols to go with it? Advise this member. I have recently purchased a used DANI GC1000 with an ALS1000. I have managed to adjust the autosampler on the sample, wash and waste positions but I cannot adjust the vertical position on the FID. 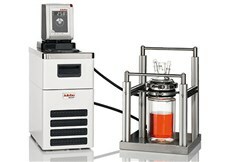 As a result the needle does not go down on the detectors cap but stays 7-8 cm above it and injects the sample. Could please someone help? 48-place tube rack for Beckman Coulter Biomek 2000? Does anyone make a 48-place rack that holds 0.5 ml and 2.0 ml Nalgene skirted tubes? Advise this member. The Ozilla™ from AMSBIO is a new high quality, purpose-built ozone gas generator. Measuring just 13 x 11 x 5 inches (32 x 28 x 13 cm), it will fit in most standard laboratory cell culture incubators, air incubators, cell culture hoods, PCR hoods, or any other environment where a sterile atmosphere is critical. Following simple operational instructions the Ozilla™ is able to completely eliminate airborne as well as surface contaminants and germs including bacteria, phage, and fungus. Read more. 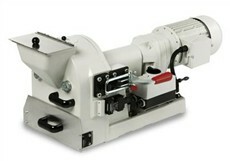 The premium model of the FRITSCH Disk Mill for efficient fine grinding of hard-brittle to medium-hard solids: Even safer due to the automatic locking of the collecting vessel and grinding chamber, even easier to operate due to the convenient motor-driven grinding gap adjustment with digital gap display. A well-designed display shows all of the parameters. Read more. Hamilton Scientific, a leading manufacturer of laboratory furniture and fume hoods, is pleased to announce the launch of their new, configurable Panorama laboratory casework platform. 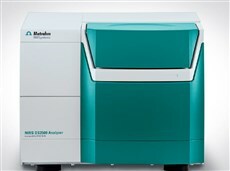 The Panorama platform is an innovative product, developed specifically to meet the demands of modern laboratories moving at the speed of science. Read more. VistaLab Technologies, Inc. is a privately held company with manufacturing and corporate headquarters in Mt. Kisco, New York. The Company’s experience in liquid handling products originated in the early 1970’s as part of Medical Laboratory Automation, Inc., when a mechanical pipette was developed for use in conjunction with the company’s automated coagulation instruments. MLA pipettes have become one of the most respected brands in the field of laboratory science. Visit the VistaLab Technologies website to see their full line of Pipetting products. What is the power supply needed to charge the instrument battery? Answer this question. We buy and calibrate hundreds of pipettes per year. We would like to make an inventory to take the pipettes management under control. Do you know of any efficient way? Share your knowledge.